For whatever reason, our Australian friends are facing a pretty significant delay - they don't get it until February 12th. This current gaming trend of rereleasing old games in HD is the sort of thing that just reeks of "cash grab" until you consider how badly the fans want it. Playing a standard definition 4x3 resolution game on a gorgeous 1080p widescreen television just doesn't cut it. 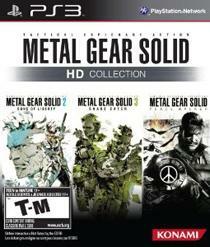 The latest addition to the HD classics bandwagon is the incredibly popular 'Metal Gear' series, which has been confirmed to be hitting shelves on November 8th - not too far away now. In addition to the regular edition, you can pick up a limited edition version that includes a 450 page art book. You can preorder the Xbox 360 and PlayStation 3 versions of the game on Amazon now.